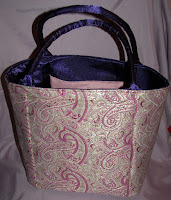 Here's my latest bag. 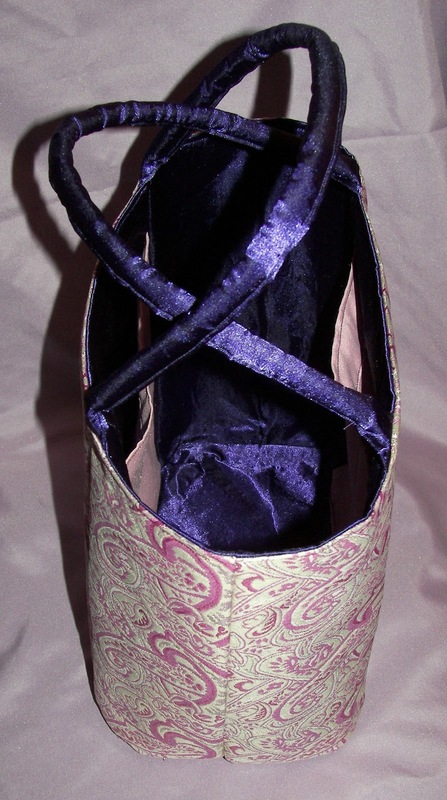 The outside is pinkish-purple gold foil brocade and the interior is purple satin with pink silk pockets. My new dress form arrived and this means a corset and Victorian/Edwardian Jacket and Skirt are in my future. I love that bag! I wish that I could make them. 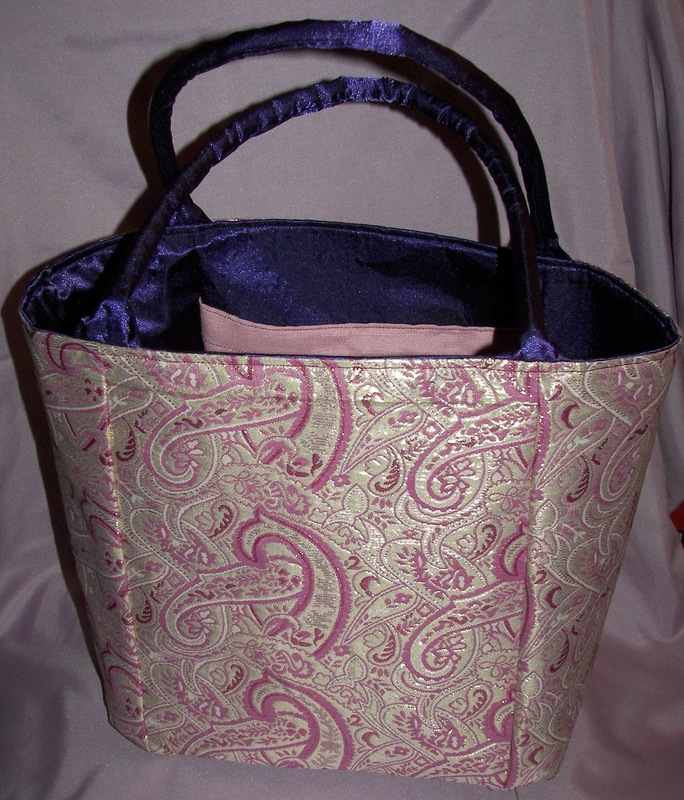 Thank you ladydi6497, I like to sew and it helps me relax some when I'm feeling frustrated and off kilter. What a great bag! 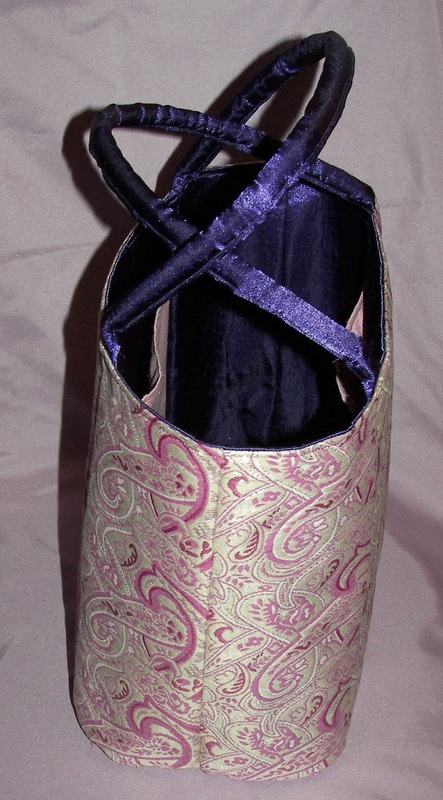 I sew, too; I find that sewing - or knitting or crocheting or whatever - helps me be more creative in other areas, too. I should try my hand at one of these. What pattern to you use? It's actually really nice to be able to put my mind on something beside stubborn characters. The pattern I used was New Look 6791. Not sure if it's still available since I got it in 2008. Wow You're like a sweing guru. I would have never known that about you. Just something to keep my hands busy while my mind rolls through ideas.